Playing music is one of the most used feature of an Android or any mobile device that shares the same feature. Most people tend to listen to music while playing, working, and even while resting. It is said that it can be used to relax the body and the mind. Some people also do it for fun or to do something to keep their selves from getting bored. 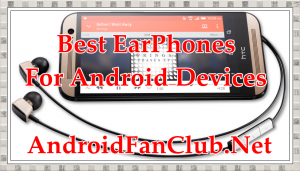 I will be presenting you the 5 Best In Ear Headphones that you can use for your Android device (smartphone / tablets) or virtually any device that supports 3.5mm audio jack. Supported by: Samsung, Sony, HTC, Huawei, Apple and many others. Perfect for party-people and those who loves to stand too close to the PA system. It will surely make you feel the vibration inside your head! It has a built-in “Bass Exciter” that will let you experience sub woofers inside your ear. It also has an in-line microphone and remote control that will enable you to switch between your music and phone calls. It is also designed with tangle free cord that you will surely love. Start bringing your favorite club music with you anywhere you go! Offers the best noise-cancellation among other in ear headphones. It is the best for frequent travelers. It’s noise cancellation is powered by an integrated rechargeable lithium battery that will last for up to 16 hours. It also has an Aware mode that allows you to hear sounds from your surroundings if you want to. It also has an inline microphone that will allow you to switch from music to calls instantly. Though it is quiet expensive ($295 to $310), it is still worth it to have. A cheap but awesome in ear headphones from Philips, this Fidelio S1 was able to compete with other expensive models. I’m sure you’ll love the angled structure of this headphones and its super-soft silicon tips that allows it to fit to your ear comfortably. You will also like the tangled-free cable they are using and the in-cable volume controller to adjust the volume as you desire without bothering to pick up your device. Next on the list, another cheap but good headphone, the Sound Magic 10. It is packed with brilliant and comfortable ear buds and durable materials. It can produce balanced sound and great bass. 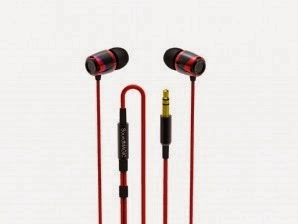 It is ideal for those who are looking for durable headphone. You can actually acquire for only $32. Experience an accurate and balanced sound with Shure SE425. It has a dual High-definition micro-drivers to enhance the performance and sound quality being produced by the headphone. If you love listening to eclectic music, then this headphone is the right choice for you to have. There you have it! 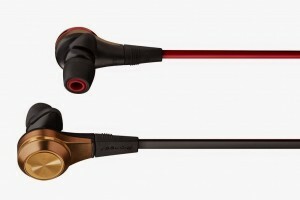 The Top Five In Ear Headphones reviewed by Android Fan Club. It is up to you to choose which one will suit your needs, but I can guarantee you that all these headphones are all excellent choices to have. Have fun, and make sure to let us know your thoughts in the comments section below.